A short Clicker/Idle game about growing a tree from a seed, and promoting life around it. Get as much life points as you can until you get bored. 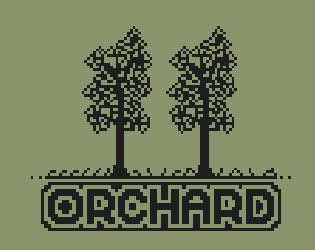 The game was made for the #1BitClickerJam, the idea though is a heavily scaled down version of an actual idea I plan to work on in the future, so consider this game a proof of concept. Doesn't give idle clicker feel like some games give which is good, keep up with good work maybe in future probably think of next level up or change of day add some colors...and possibly pests besides birds. To click away. The lag after the last bird upgrade on the right is insane. when i was young i thought of a game where you grow a tree or a plant and each has its own experience and you make a forest and life stuff, great concept! The final bird upgrade made me laugh out loud :D Great little game! I am not sure if this was intentional, but I am at the point in the game where the birds blot out the trees, and the tab on chrome is seriously lagging. This is a picture of the game at that point. Oh, yeah I definitely got the birds too early, but it was a fun game! I enjoyed it before Chrome wanted to tap out.